The Quinnipiac Bobcats women’s soccer team (6-6-1, 3-1 Metro Atlantic Athletic Conference) will face off against the Canisius Golden Griffs (4-6-3, 1-4-2 Metro Atlantic Athletic Conference) on Saturday in Hamden. Quinnipiac is coming off a 4-1 loss to Monmouth on Oct. 6. Canisius is coming off a tie against Niagara on Wednesday. Quinnipiac is fourth in the MAAC, but is only a game out of the third spot, which is currently held by Niagara. Canisius is sitting at 10th out of 11 teams in the MAAC. 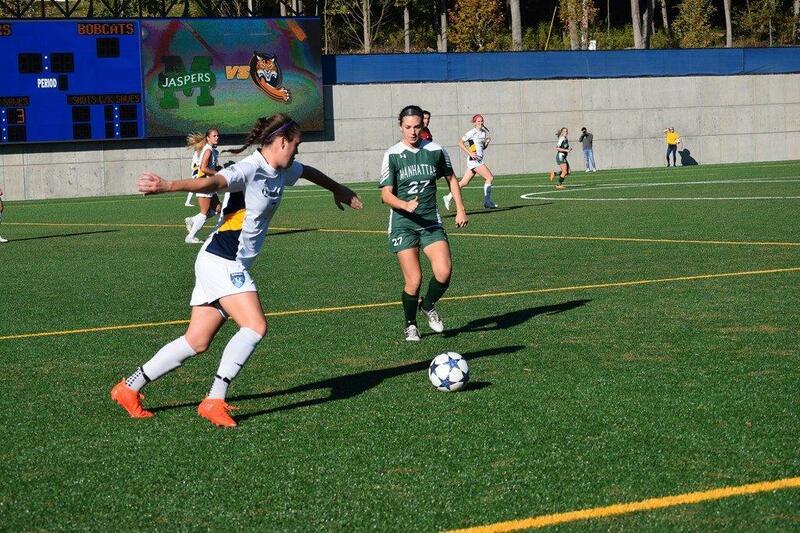 Quinnipiac midfielder Madison Borowiec is tied for the team lead with four goals on the season. She recorded a goal and an assist against Niagara on September 29. The past two games she did not get one in the back of the net, but in the losses to Saint Peters and Monmouth, Quinnipiac only recorded one goal in the two games. Borowiec leads Quinnipiac with 10 points. She is tied for fifth on the Bobcats with six shots on goal, but when she shoots she scores 66 percent of the time. She was a 2017 second team All-MAAC selection, and is improving on that honor with only one goal less than what she finished with last year. Madeline Beaulieu has provided 50 percent of the Golden Griffins offense. She leads the team with six goals on the season, while the rest of Canisius has combined for six goals as a team. Last year she started all 18 matches in her sophomore campaign, and finished the season tied for the team lead in points (6). Goalkeeping is going to have to be a strength for Quinnipiac if they want to beat Canisius. Goalkeeping and defense have been mediocre this season for Quinnipiac as they are sixth in the MAAC in goals allowed. Olivia Myszewsk has been solid for Quinnipiac in 12 games this season. She has a 5-5 record on the season and has recorded 61 saves thus far with a 0.782 save percentage. Quinnipiac is third in MAAC with Myszewsk recording three shutouts this season, including one against third place Niagara in the 3-0 win. Offense is not a strongpoint in the Golden Griffins disappointing season. They are ninth in the MAAC in goals and tenth in points. Their goalkeeping has kept this team afloat. They are fourth in the MAAC in saves this season. Golden Griffins goalkeeper Alana Rossi has had a good year thus far recording 56 saves on the season. Make sure to tune in to QBSN’s live broadcast of Quinnipiac vs. Canisius from the Quinnipiac soccer field in Hamden. Max Schreiber will be on call for the game. For live updates throughout the game, make sure to follow @QBSN on Twitter.